1 S. Lusin, LV Cabling, CERN 06 Apr 06 LV Cabling 06 Apr 06 S. Lusin Fermilab / CERN Cabling from USC to UXC, Power Distribution. 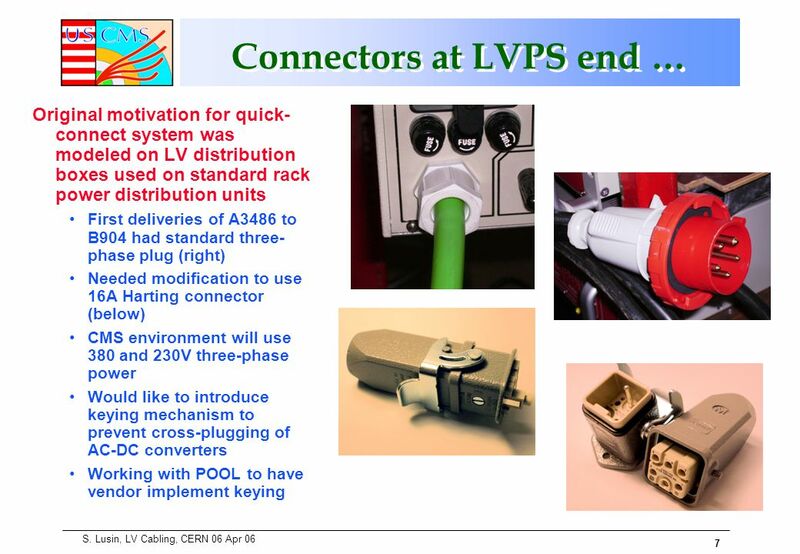 2 2 S. Lusin, LV Cabling, CERN 06 Apr 06 LV Cabling Issues … LV Project is responsible for supplying AC power to input of AC/DC converters For CAEN-based systems this means supplying power cabling to detector For Weiner-based systems power is supplied to USC Power cable chosen is 7x6mm^2, shielded, 23mm dia. 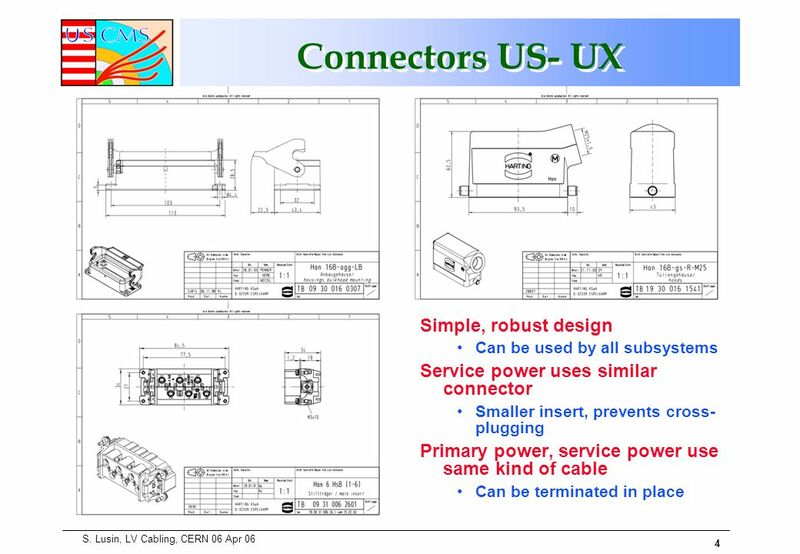 Used for CAEN systems, Weiner systems & service power Will be CERN stores item 8 km on order Primary purpose is for installation in YE1, HF cable chain Some cable will be available for magnet test DCS cabling was subdetector responsibility In the interest of system coherence & installation schedule, ESSC has recently agreed to make DCS cabling design & procurement in cable chains for CAEN-bus systems an LV project responsibility Financial responsibilities still to be worked out with subsystems Cable is 50-conductor twisted pair Ends at detector patch panel “Standard” CERN stores cable for this purpose is not available in lengths that we need Alternate cable has been identified, at some cost savings, but needs termination by hand This should not be a problem. 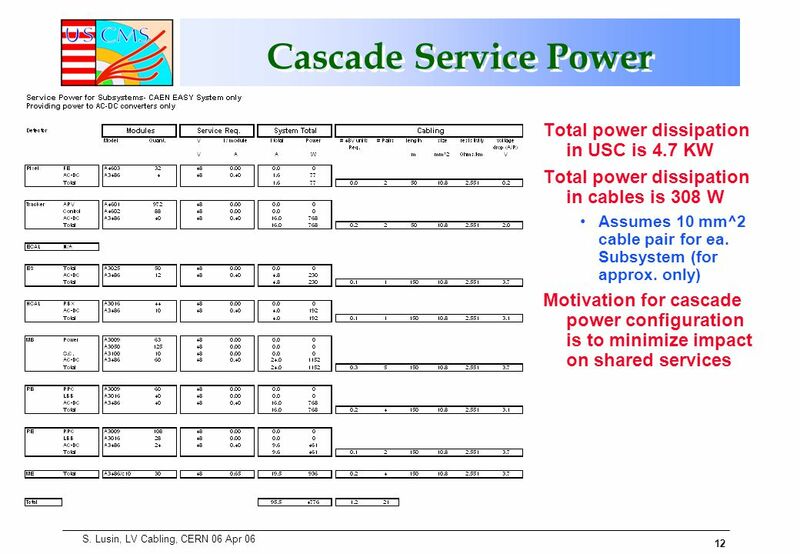 Cable counts are not large. 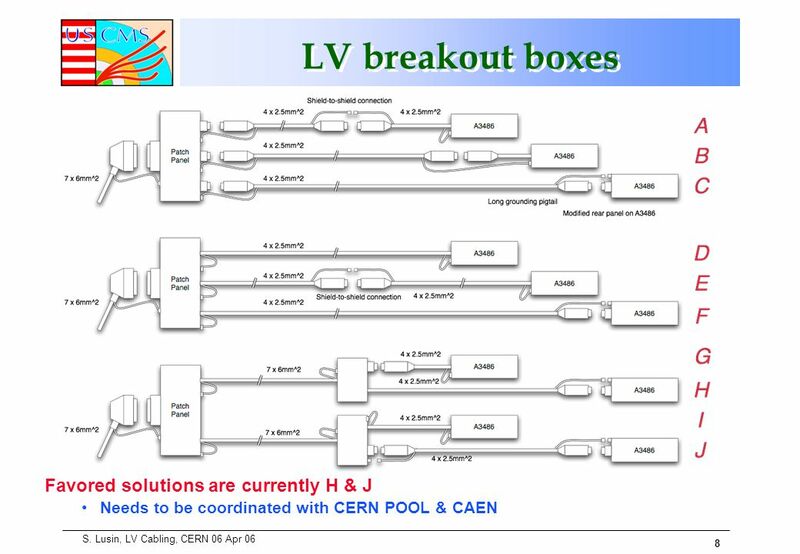 6 6 S. Lusin, LV Cabling, CERN 06 Apr 06 On- Detector (UX-UX) Dist. 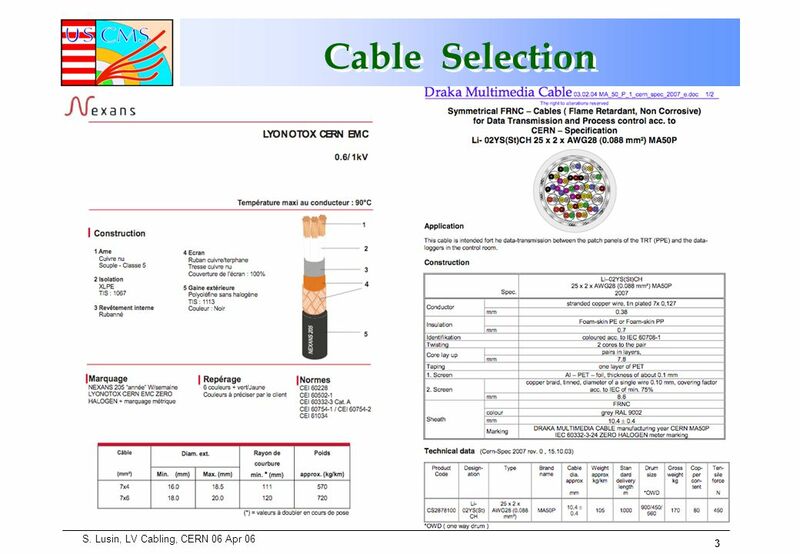 Download ppt "1 S. Lusin, LV Cabling, CERN 06 Apr 06 LV Cabling 06 Apr 06 S. Lusin Fermilab / CERN Cabling from USC to UXC, Power Distribution." André Augustinus 16 June 2003 DCS Workshop Safety. EMerge Browser Managed Security Platform Module 2 Hardware install. Delta Confidential Apr GAIA-series 5-11KVA Introduction. AIMS TF Upgrade Update 6/18/14. Breaker & Contactor Control & Status 6 Pulse Dual Converter with Lockout Controls (and Shoot-through Protection) Auto-Crowbar. M.PEGORARO Grounding Workshop 24th Jan 08 DT GROUNDING & SHIELDING Presented by A. BENVENUTI. 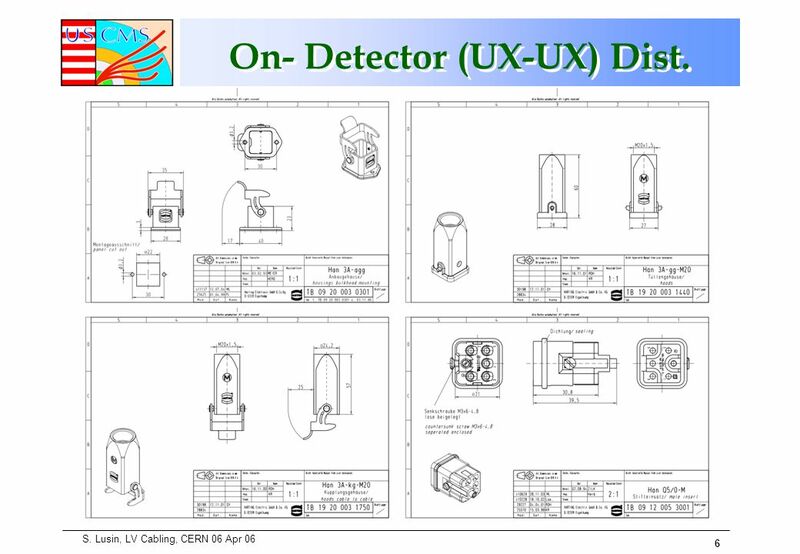 MineralScan Lite Installation Guidelines Digital Control Lab, LLC NW 6 th Street, Suite F Gainesville, FL Main Unit power 90 – 240 VAC 50/60. 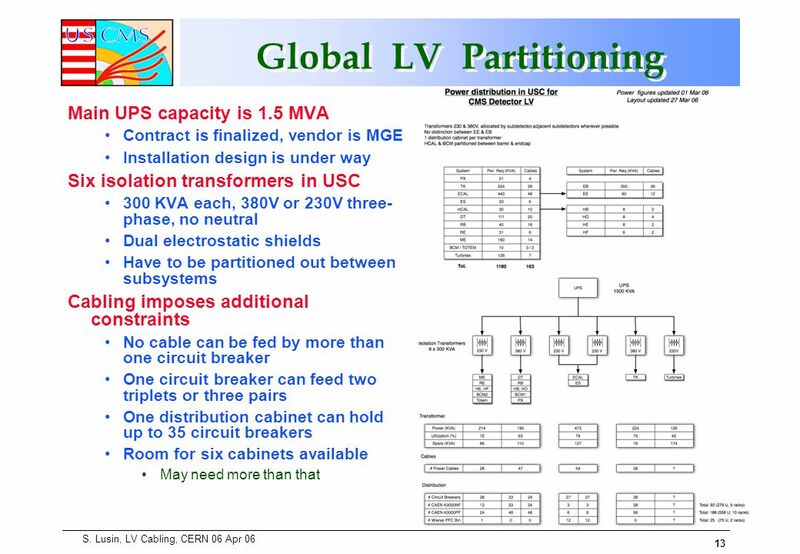 L. Greiner1HFT Hardware 09/23/2010 STAR Vertex-6 based PXL RDO board Design concept and items for discussion. 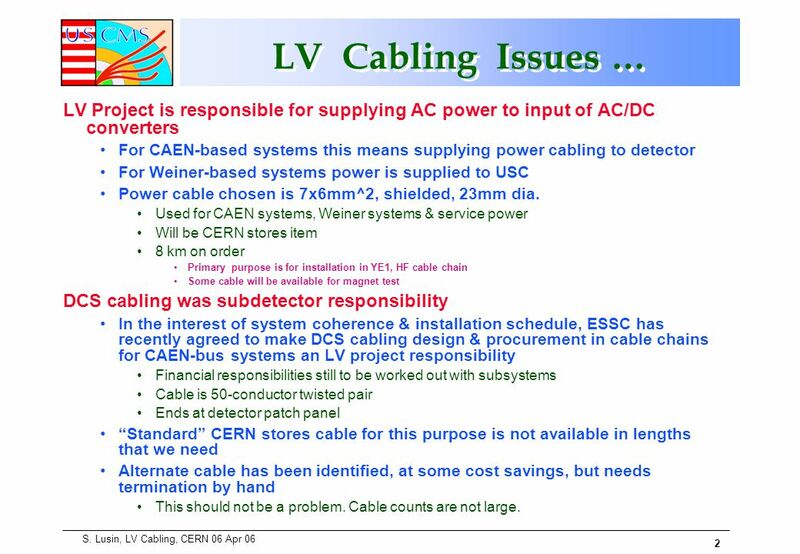 LECC V. Bobillier1 Overview of LHCb Electronics installation aspects V. Bobillier; L. Roy; J. Christiansen CERN - LHCb. David Emschermann DCS Workshop – PI Heidelberg – 22/01/2007 How to power up the TRD David Emschermann Physikalisches Institut Universität Heidelberg updated. CMS WeekDec 2002E. Hazen HF Electronics Status Report E. Hazen, J. Rohlf, E. Machado Boston University. RPC Electronics Overall system diagram –At detector –Inside racks Current status –Discriminator board –TDC board –Remaining task. 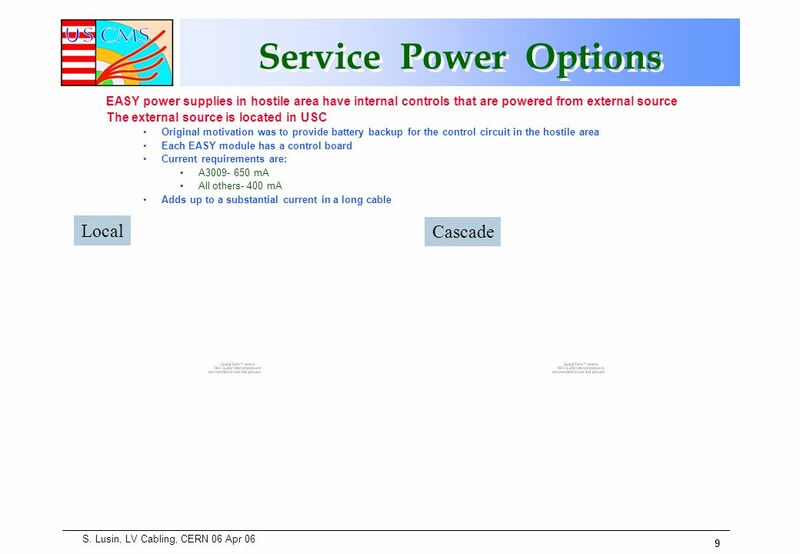 During a mains supply interruption the entire protected network is dependent on the integrity of the UPS battery as a secondary source of energy. 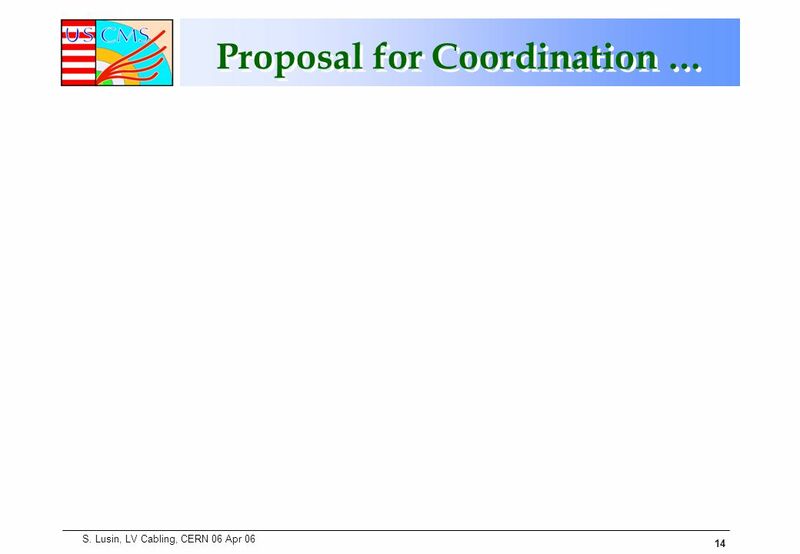 A potential. 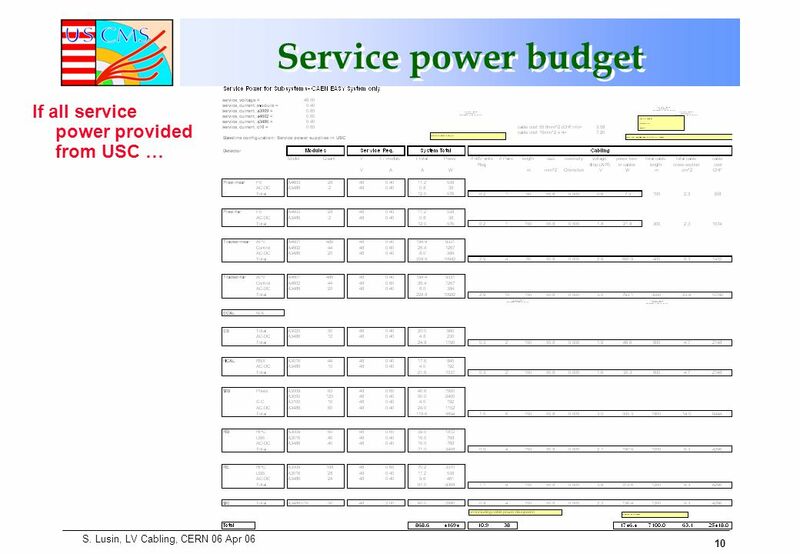 Tullio Grassi ATLAS–CMS Power Working Group 31 March 2010 DC-DC converters and Power Supplies requirements for CMS HCAL Phase 1 Upgrade. 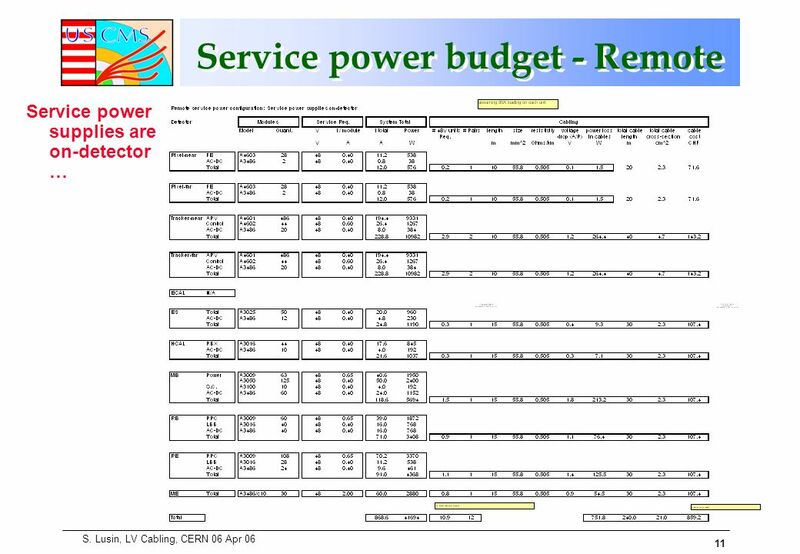 Power supply planning for upgrade OT  Scintillating Fibre Wilco Vink On behalf of the SciFi group 19 May 2014. A few points that need discussion today (Gerard) UH needs golden front boards (2? 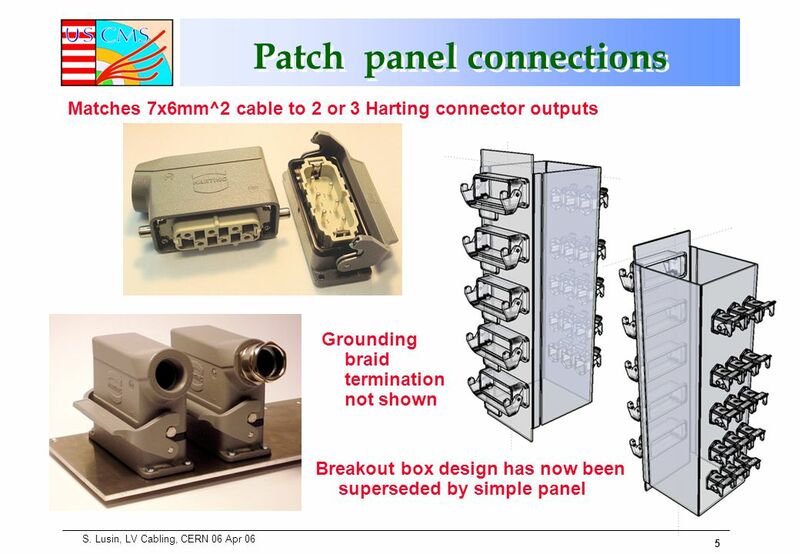 ), golden HVB (1), and HV cabling to PS with the correct connectors. IU.